In this article, you will learn how to control, review, and interpret click tracking. Click tracking is enabled in all Mailchimp campaigns by default. Improper link formatting and other issues can cause problems with click tracking. To learn more, read Troubleshooting Click Tracking. When you enable click tracking in a campaign, Mailchimp adds tracking information to each click-through URL. Each time a contact clicks a link in the campaign, the tracking information redirects them through Mailchimp's servers and sends them to the intended web address. That redirect through our server is logged in your campaign report as a click. To track a click, the original URL has to be replaced with one that points to our servers and redirects to the destination URL. Because plain-text campaigns don't use hyperlinks to hide Mailchimp's tracking information, subscribers who view your plain-text campaigns will see the full tracking URLs. Before the plain-text version of your campaign is sent, links will look something like this example. When your campaign arrives in recipients' inboxes, the plain-text click tracking will look something like this example. To turn click tracking on or off in a regular email campaign, follow these steps. In the Settings & Tracking section of the Campaign Builder, click Edit. Check the Track clicks box to enable click tracking, or uncheck the box to disable click tracking. To manage click tracking in the plain-text version of your campaign, check or uncheck Track plain-text clicks. Click tracking tells you how your contacts interact with your content and whether they want to visit the destination URLs in your campaign. Mailchimp reports provide a few different metrics for measuring click activity on a campaign report. You can access detailed campaign click stats from the report Overview, the Click Performance, and the Clicked pages in the campaign report. The report Overview gives you a broad summary of how well a campaign performed. To view the report Overview for a campaign, follow these steps. Click the name of the report you want to work with. This will take you to your report overview. Here’s some of the click tracking information you’ll see in your overview. Percentage of total recipients who clicked any tracked link in the campaign. Number of recipients who clicked any tracked link. Click this number in your report to open a list of subscribers who clicked. Percentage of recipients who opened your campaign and then clicked a link. Total number of times any tracked link was clicked. This count includes multiple clicks from individual recipients. The most recent date and time someone clicked a tracked link in your campaign. The URLs that were clicked the most in your campaign. The Links page tells you how each URL performed in the campaign. To view individual link results, follow these steps. Click the name of the report you want to work with. 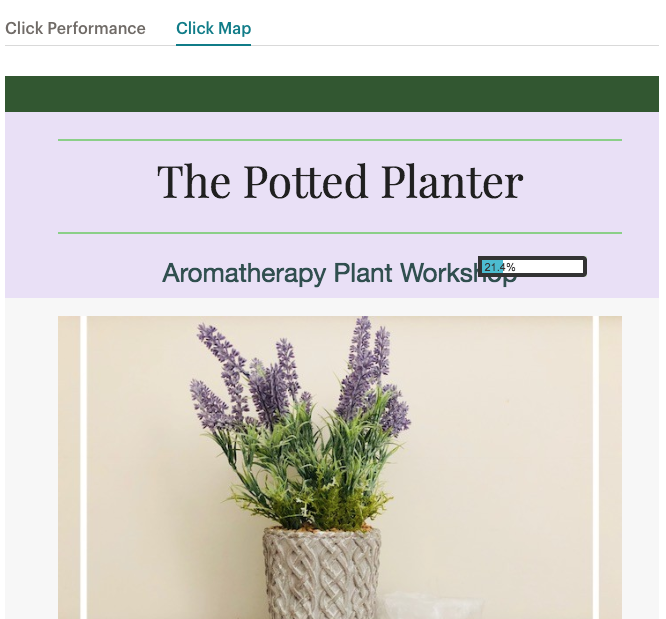 On the Links tab, Click Performance displays your tracked URLs and the number of total and unique clicks for each. Click the numbers next to each URL to view the contacts who clicked that link in your campaign. From there, you can click Export as CSV to download a list of contacts for each link result. The Click Map shows you a visual representation of how each link performed in your campaign. To view a list of all recipients that clicked any tracked link in the campaign, follow these steps. Click Activity and choose Clicked. Click Download to export and save this list of contacts, or click each contact to view their activity for this campaign. You can also get a general overview of both open and click statistics from the Campaigns page in your account. Hover over the open or click percentage for any sent campaign to see the number of opens or clicks. Learn about the statistics in campaign reports in your Mailchimp account, including information on opens, clicks, e-commerce data, and more. 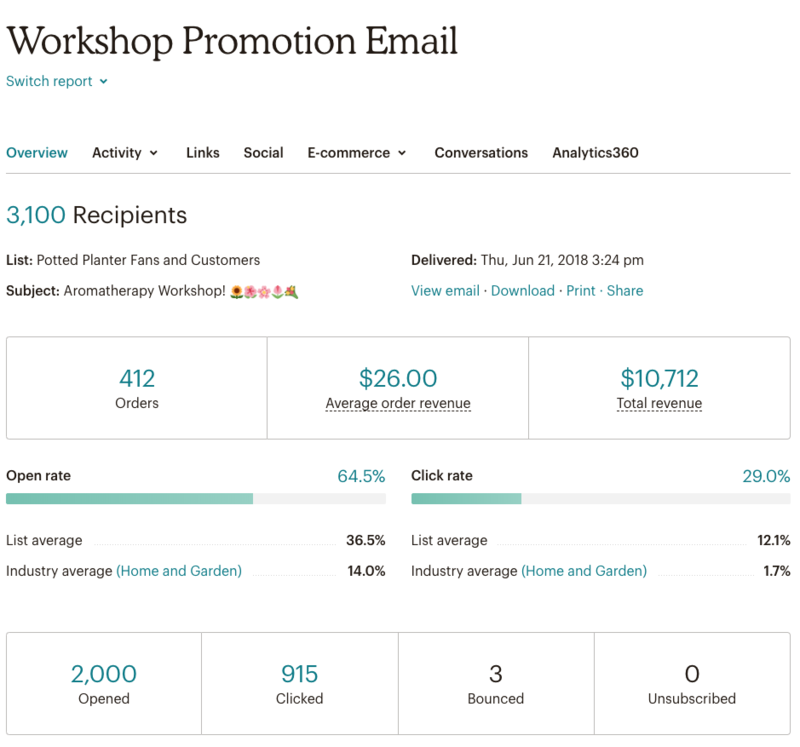 Learn how to share Mailchimp reports. Send important stats to your coworkers and clients.